Recently, I connected with a friend from back home in Arkansas - Joi, an Independent Consultant for Rodan + Fields which is a skin-care line. I've tested out a few of their products and I'm happy to share with you my first product review here on the blog! When speaking to Joi, you can tell that she's very passionate about Rodan + Fields products. 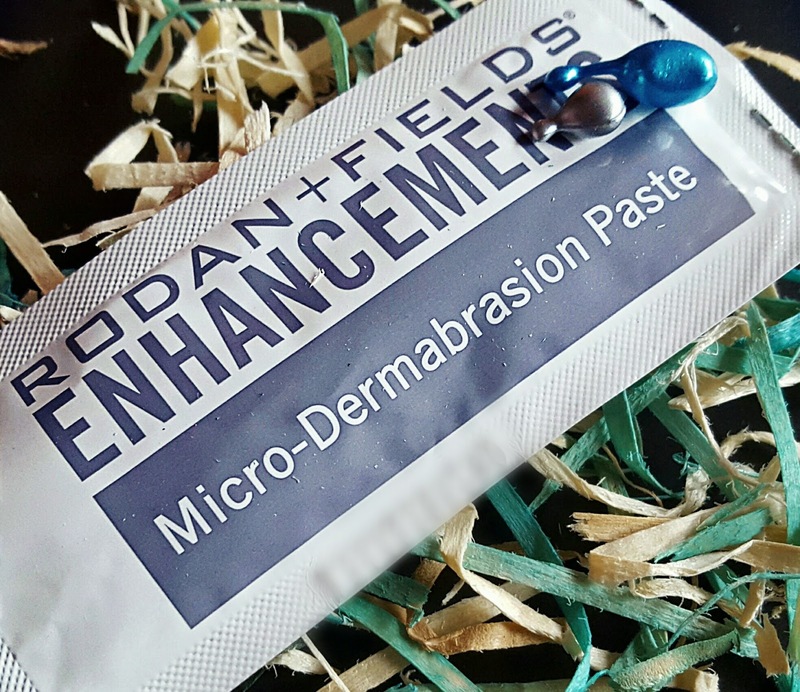 Of the three samples sent to me, I was most intrigued to try the micro-dermabrasion paste. But I'll talk through all three of them! I was sent the micro-dermabrasion paste, night renewing serum, and lip renewing serum. The REDEFINE Night Renewing Serum was the first that I tried. After cleansing and toning in the evening, you apply the night renewing serum to your face. It is said to visibly improve skin texture and firmness and reduce the appearance of wrinkles. Honestly, this product did not do very much for me although *disclaimer* - most night serums don't do very much for me. I don't have any wrinkles (yet) and very few fine lines, so there was no difference in my face before and after. They did say that if your skin feels dry after applying it, you can finish with a moisturizer, which is what I did. Overall, I wouldn't write off the product, especially if you're considering a night serum, you might want to look into to it! Th next thing I tried was the lip renewing serum, which was especially timely since my lips have been a bit dry and peeling lately. According to the package, the REDEFINE Lip Renewing Serum smooths lip texture, reduces the appearance of lip wrinkles, and increases moisturization. My lips certainly felt nice and smooth after using this product. However, I will say that the moisturization does wear off, so be sure to apply a lip balm after using to lock in some of that moisture. 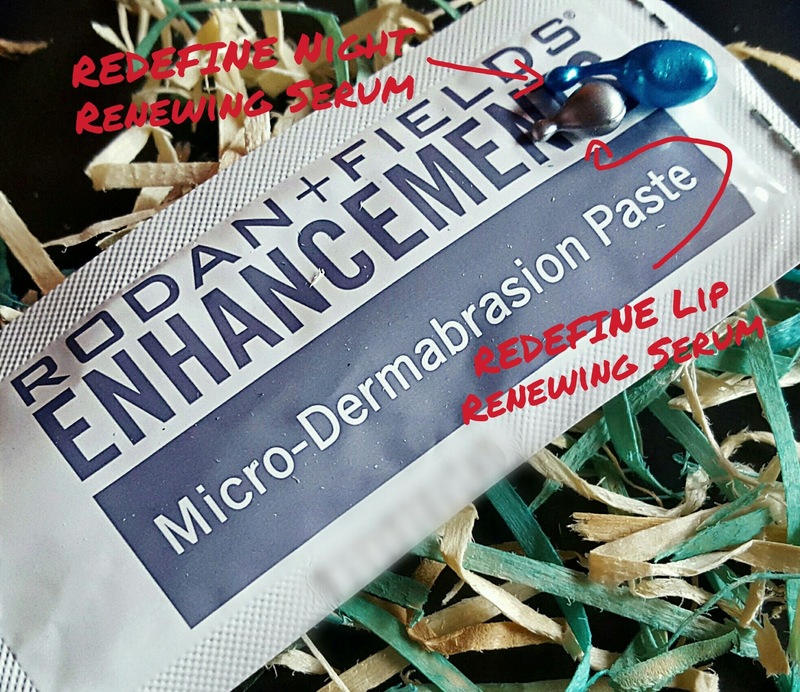 The highlight of these samples for me was the ENHANCEMENTS Micro-Dermabrasion Paste. First, I love that you apply the scrub to dry skin. Second, it smells absolutely divine. Third, my skin felt so smooth after trying it! To apply, gently massage the paste onto dry skin in the morning to enhance cell turnover and improve tone and texture. For gentler exfoliation, you can also add water. I chose to apply it dry. The first time I used the paste, my skin was quite red after, but soft. And, honestly, my skin felt quite relieved. It's one of the best scrubs I've used in a long time. It's not recommended that you use it every day, but using it in place of your daily cleanser up to three times a week could really improve the overall feel of your skin. After testing it for a few days, I must say that I enjoy this product! And there you have it! My first product review. If you're interested in working with Joi and finding out more about Rodan + Fields, click here. If you've tried the products before, what are your thoughts? Wow... Okay, this is very interesting. Where are you from?